The third time is the charm for Dan “Hendo” Henderson as he returns to the UFC this Saturday to take on feared Brazilian Striker, Mauricio “Shogun” Rua. For the last 2 years, Dan Henderson has been taking his MMA skills to new heights in Strikeforce. Henderson defeated Rafael Cavalcante to win the Strikeforce Light Heavyweight Championship during March of this year, then defeated world-renowned Heavyweight fighter Fedor Emelianenko in a shocking upset just 4 months later. At 41 years of age, “Hendo” still has incredible knockout power and world-class wrestling skills that cause great concern for any fighter that steps in the cage with him. 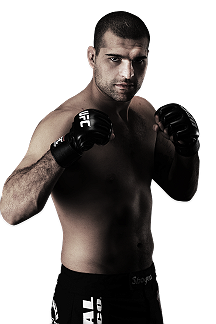 Mauricio Rua is one of the elite Mixed Martial Artists on the planet. His last loss came in his UFC Light-Heavyweight Title defense against Jon Jones, where he was knocked out in the third round by “Bones”. Shogun would come back 5 months later and knock out Forrest Griffin during the first round of their fight at UFC 134. Shogun looks for his 2nd straight victory on Saturday to get back in the UFC Light-Heavyweight Title hunt, and one more shot at Jones. 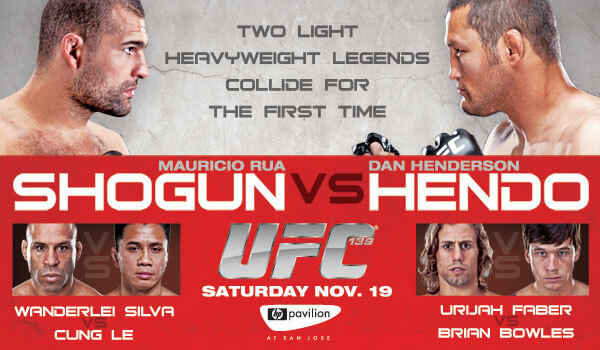 I wouldn’t be surprised to see either Hendo or Shogun walk away with the victory. I like what Henderson has been doing lately over in Strikeforce, and defeating Fedor is a true accomplishment, but I believe Shogun Rua is the best fighter Henderson has faced over the last few years and it will show in the result. Henderson is a tremendous wrestler, but I like Rua’s takedown defense to counter-act Hendo on Saturday. At 41 years of age, I doubt Henderson can take the damage that Shogun is ready to dish out. I’ll take the Brazilian Jiu Jitsu of Mauricio Rua and give him the TKO victory. Wanderlei Silva replaces the injured Vitor Belfort in this bout with Cung Le, and the fight is all the worse for it. It’s now Marshal Law from the Tekken movie vs a once dominant MMA legend who has lost 6 of his last 8 fights. This is really the Co-Main Event of UFC 139? Cung Le has only 8 MMA fights under his belt, but he does have an impressive 7-1 record, including a TKO victory over Frank Shamrock in which he broke Franks arm. Le has taken the last year off of training and competing to focus on an acting career. 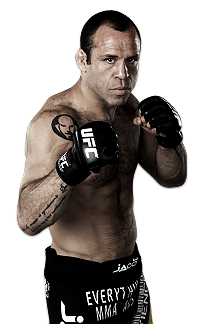 This fight with Wanderlei will be his first action since June of 2010. He possesses solid striking power in his hands and legs as a world-famous kickboxer, but that’s about it. If you look up one-dimensional in the dictionary, there will probably be a picture of Cung Le. I don’t believe his skills on the mat are all they are cracked up to be. Wanderlei Silva isn’t the same fighter he was when he plowed through the competition overseas in PRIDE. His 2-6 record speaks for itself, as does his 27 second knockout loss in his last fight with Chris Leben. Silva is one of the most decorated fighters in MMA history and will go down as one of the best ever. He may be 6 years younger than Le, but Silva is fighting like a man who is on his last legs. There is no way I can pick Silva in this fight. He is a fan-favorite and a true ambassador for MMA and the UFC, but so what? I am not saying Cung Le is an elite fighter or anything, but I have little to no faith in Wanderlei Silva walking out of the cage this Saturday victorious. I’ll put my money on Cung Le via TKO. A UFC Bantamweight Championship fight may go to the winner of this first-time encounter between Faber and Bowles. This fight is hard to call as neither fighter really has any glaring weaknesses. Faber is one of the more popular fighters in the division, and even the entire UFC. “The California Kid” has amazing cardio and a hunger in the ring like no other. He needs this victory to move himself back in contention to fight champion Dominik Cruz, the same man he lost to during his last fight at UFC 132. I consider Faber to be similar to a guy like Kenny Florian, as both men seem to have serious problems during title fights. Faber is 4-4 in his last 8 MMA fights, but all 4 losses have come when a title has been up for grabs. This may be the first time that a lot of fans are seeing Brian Bowles in action. 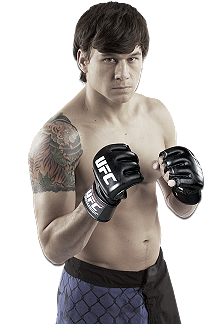 He has tremendous punching power for a guy weighing 135 pounds, and has solid wrestling and submission skills. Bowles has had only 1 fight in his career go to decision, but I believe it will be 2 after Saturday. This fight is going to be fast-paced brawl with exciting, bell-to-bell action featuring 2 bright stars in the UFC Bantamweight division. Both want their shot at Cruz and the title and will hold nothing back on Saturday. I believe Bowles is the stronger fighter, but that doesn’t take anything away from Faber and his power game. I like Urijah to take Brian to the ground and work him over with his wrestling and mat-work. I don’t expect either fighter to score a KO or TKO in this one. 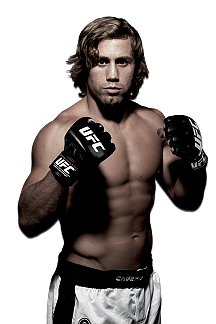 In a fight that I predict will go the distance, I put my faith in Urijah Faber with the unanimous decision victory.